64-bit Windows 8.1 tablets powered by Intel Atom (Bay Trail) processors are on the horizon. Microsoft confirmed the news to CNET, with the new devices expected within the coming months. Dell also chipped in to say that it will be offering 64-bit support on its Venue 8 Pro and Venue 11 Pro tablets, both of which feature Atom processors. 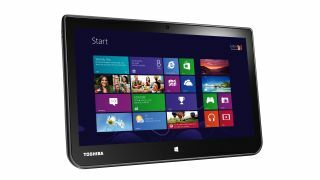 An anonymous source cited by CNET said that at least one big PC manufacturer will unveil a 64-bit Atom-powered Windows 8.1 tablet at Mobile World Congress 2014, which runs from February 24-27 in Barcelona. There are many reasons why 64-bit is a big improvement over 32-bit. First and foremost, 64-bit allows memory beyond 4GB, which opens doors for more resource-hogging applications. A requirement for signed 64-bit drivers should also make 64-bit systems more stable. Nathan Brookwood, an analyst at Insight 64, said that there is pressure for all devices, including tablets, to go 64-bit so that there can be standardisation on 64-bit images and apps. The shift to 64-bit has taken on a greater priority for Microsoft and its allies now that Apple is also working on a 64-bit experience for its smartphone and tablet range. Intel also confirmed 64-bit Android devices will ship this year.